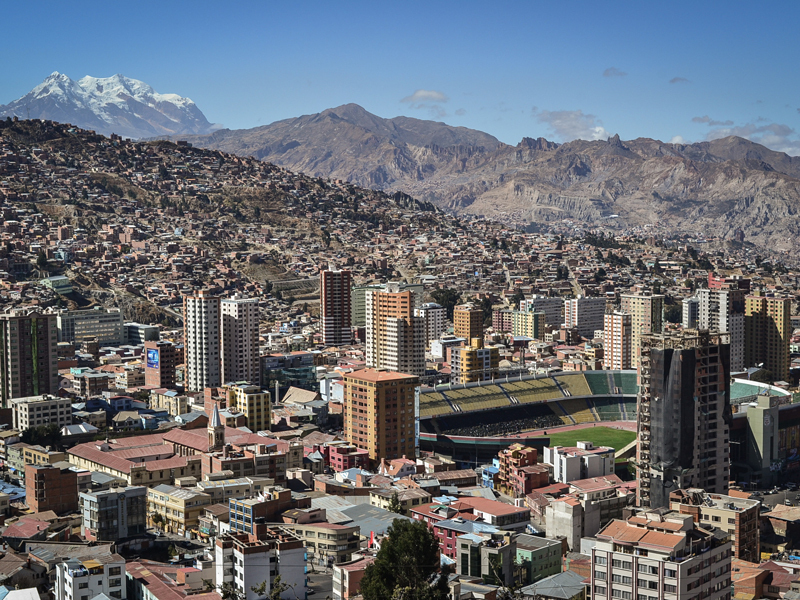 While Bolivia’s economy expanded at a remarkable rate over the past year, the pace of growth in the financial system was slower than in prior years. Despite this, Banco Mercantil Santa Cruz (BMSC) reached a milestone of over $5bn in assets and led the local banking industry in both net income and asset growth, once again proving its leadership in the sector. These results reflect BMSC’s ability to create value even in a year that was full of new challenges, demonstrating that the consistency of our strategy delivers results in different environments, even with continuous change. Throughout its history, BMSC has provided quality financial services. It performed well over the last few decades by combining its risk-centred culture with an aggressive appetite for growth in the country. In 2017, the bank completed the acquisition of Banco PyME Los Andes Procredit to continue diversifying its risk portfolio and better serve the SME sector. Today, BMSC is the largest bank in the country, and enjoys a successful history of satisfied customers. BMSC has put significant resources towards improving customers’ experiences of its products and services, in addition to creating a tailor-made solution for customers. The star product, Super Makro Account, has performed outstandingly in the market, even prompting competitors to replicate it. In addition to traditional features, the product offers a competitive interest rate and the benefit of weekly cash prize draws. Furthermore, we have developed a new brand aimed at younger generations, called Banx. After two years, Banx is very active in high schools and universities as a result of promotions and campaigns, but most of the business is done with clients in our targeted age range of between 26 and 35. BMSC is committed to the people of Bolivia, and to this end it has promoted growth in social housing loans and productive sector loans. These loans allow families to achieve the dream of home ownership and contribute to the growth of their businesses. The bank also supports efforts to develop a more inclusive financial system that provides greater access to financial products, services and capital for low-income communities and individuals. In line with this commitment, we were the first bank to grant loans with 100 percent financing for social housing, a product that enabled a large portion of the Bolivian population to access their first home. To reinforce the country’s small producers, which in many cases do not have the opportunity to access traditional financing, BMSC has created a unit to look specifically at structured loans. This product allows the small producer – with help from a large company – to access loans that were previously unthinkable. Internet banking was formally introduced to our corporate customers to improve customer experience. This new channel was redesigned under a modern technology platform to be friendlier and safer, with the aim of improving functionality to allow transactions 24 hours a day, 365 days a year. The BMSC mobile banking app allows our customers to make enquiries and financial transactions from their mobile phones. Our app has become more popular in the past year as more operational improvements have been released, such as facial and fingerprint recognition. Both our internet and mobile channels are continually improving to make customer transactions and questions easy to resolve. The bank is also working to update its core banking system, a project that began in 2015. The project, which represents a massive investment of time and money for any bank in the financial system, will give BMSC a world-class core system and allow it to be more competitive in the market. Nevertheless, the most important achievement in 2017 was the acquisition of Banco PyMe Los Andes Procredit. This was the most significant deal to have taken place in the country in the past 10 years. In December 2016, BMSC acquired 100 percent of the company’s shares, and the integration was completed by August 2017. After this transaction, BMSC consolidated its position in the market as the largest bank in the country, not only growing in traditional products, such as housing loans, but also improving its position in the SME sector. As a result of continuous efforts of the main directive and all employees of the bank, total assets reached $5bn this year, growing by $925m since 2016. Furthermore, the bank maintains important funding in public deposits, reaching 91.59 percent of the total liabilities as of December 31, 2017. Throughout the years, BMSC has demonstrated a commitment to its customers by constantly investing in technology and innovation and providing an excellent service designed to meet the needs of its customers.